Instead of Donald Trump, his daughter Ivanka sat at the big table at the G20 summit in Hamburg for a while, surrounded by national leaders. 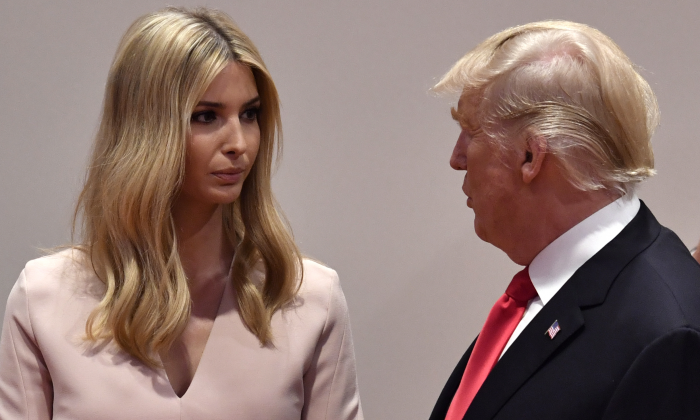 The situation may have been unusual, but her sitting there when her father had to attend bilateral meetings did make sense. A photo of Ivanka sitting at the main table was posted on Twitter by Svetlana Lukash, a member of the Russian delegation to G20. It was deleted shortly after. It is customary that when a nation’s leader has to leave a session, somebody takes his or her place, usually a cabinet member. Ivanka serves as an adviser to Trump. The topic discussed at the session was the World Bank’s Women Entrepreneurs Finance Initiative, a program to help women entrepreneurs in developing countries. Ivanka Trump specializes on issues that primarily impact women, like maternity leave and human trafficking. She was involved in the U.S. $50 million commitment to the World Bank initiative and was already attending the G20 session. “Ivanka was sitting in the back and then briefly joined the main table when the president had to step out,” the White House stated in response to the twitter photo, according to The Hill. While her title doesn’t carry much official weight, she may have been the best person to take the president’s seat at that moment.